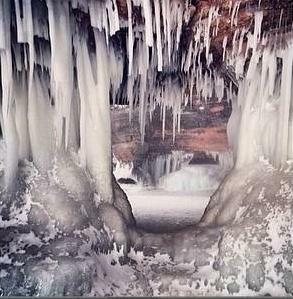 People have been posting the coolest pictures this week on Facebook of the ice caves in Northern Wisconsin. I just had to share. I wish I was as consistent a poster as you are!! I enjoy all your posts! Awesome ice photo!